A resurgent Manchester United welcome PSG to OId Trafford in the standout fixture in the Champions League this week. As ever, you will be able to follow all the action Live & Exclusive with beIN SPORTS. Manchester United will be quietly confident of getting a positive result against the French Champions ahead of a second leg visit to Paris. United are now on an 11 game undefeated streak under caretaker boss Ole Gunnar Solskjær, who has brought the smile back to Players & Fans alike following the malaise under Jose Mourinho. The Red Devils warmed up for their midweek encounter with a comfortable 3-0 win over relegation-threatened Fulham and pushed back into the top four. Solskjær has got his former side moving in the right direction, however, the threat posed by PSG is the first true test of the Norwegian’s abilities since being recruited by United in December. Should Solskjær tactically outthink PSG, arguably one of the favourites for the Champions League, that could land him the United job on a full-time basis. Paul Pogba has blossomed under Solskjær, after being much maligned under Jose Mourinho. The French midfielder had a starring role at the weekend, scoring twice and pulling the strings in midfield in the victory over Fulham. The World Cup winner is likely to be handed a starting role on Tuesday evening and will be encouraged to drive forward at every possible opportunity. As for PSG, they prepared with a nervy 1-0 win over Bordeaux. 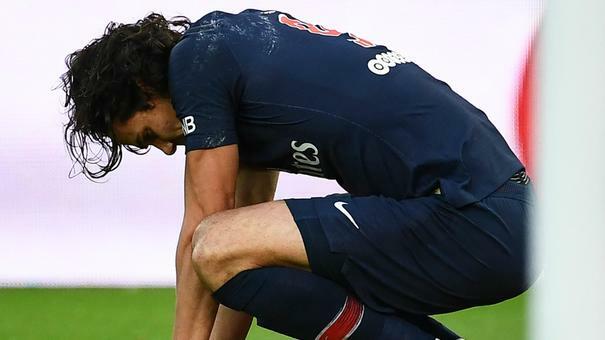 Although Thomas Tuchel will be frustrated by the hip injury picked up by Edinson Cavani which will rule him out for the first leg against United. Not to mention that the Parisians will be without Neymar after it was confirmed that the Brazilian would be out for ten weeks following a metatarsal injury in the Coupe de France clash against Strasbourg on the 23rd of January. Whilst also right-back Thomas Munier will also be absent due to a concussion. Still, Tuchel is likely to slot midfielder Marco Verratti back into the side for the clash at Old Trafford. The Italian international played just over an hour at the weekend after fully recovering from an ankle injury picked up in early January. With the absence of Neymar & Cavani, the pressure will be on Kylian Mbappé to supply the Parisians with goals. The World Cup winner has three Champions League goals to his name this season and will be eager to get on the scoresheet as PSG look to topple United and progress to the quarter-finals. It certainly promises to be a fascinating encounter as Manchester United welcome PSG to Old Trafford. As ever, you can watch the match via beIN CONNECT.